The Goddess Winter Bazaar (12/19/15 at 4PM) | New Growth Hair Magazine | We capture the culture of urban barbershops and beauty salons. Join the Goddesses for another wonderful gathering! Again we shall gather to promote entrepreneurship and prosperity in our community! On December 19th at 4PM, we will have over 20 Vendors to showcase their art/craft, businesses, and products. There will be entertainment, food and other activities! We have expanded into the whole building this year and will be offering Zumba classes, African Dance & Drumming, and poetry! Come and share the LOVE and Prosperity for the Holidays! 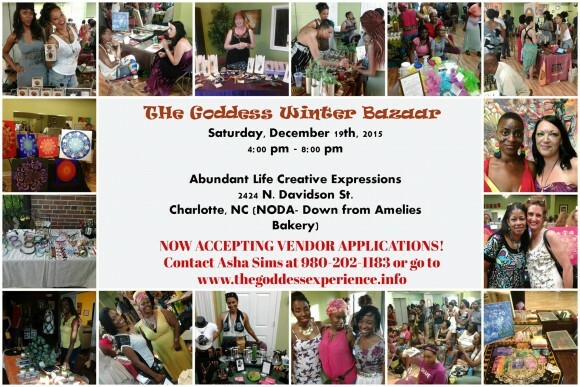 NOW ACCEPTING VENDORS FOR THIS EVENT!- GODDESSES ONLY!!!! For vending opportunities inbox me or go to www.thegoddessexperience.info!